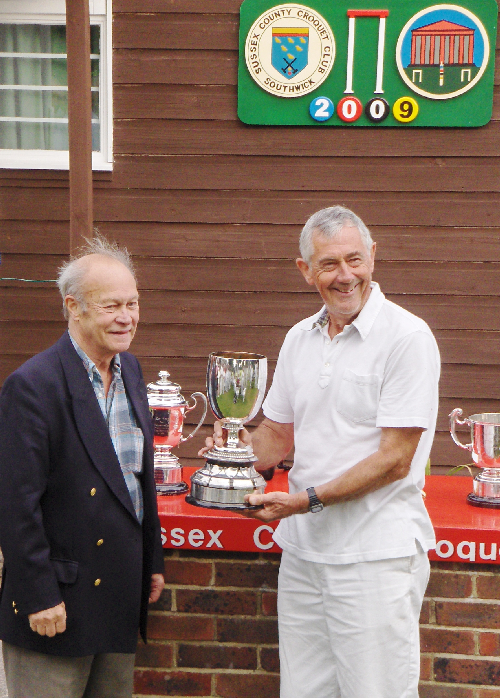 Sussex County members took three of five trophies in the Challenge & Gilbey tournament hosted this year at Southwick. The Gilbey goblet was won by Jamie Angus, in what I believe was his first open tournament. 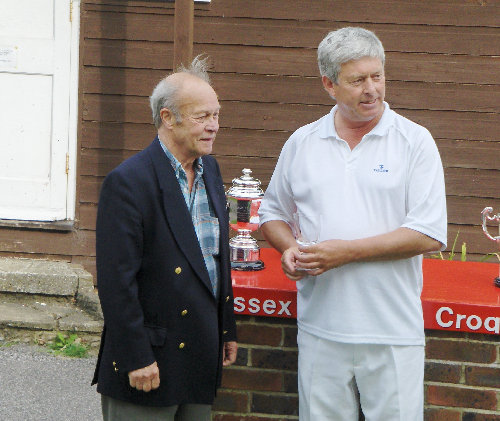 The Roehampton Cup (A class advanced singles) was won by Paul Castell. 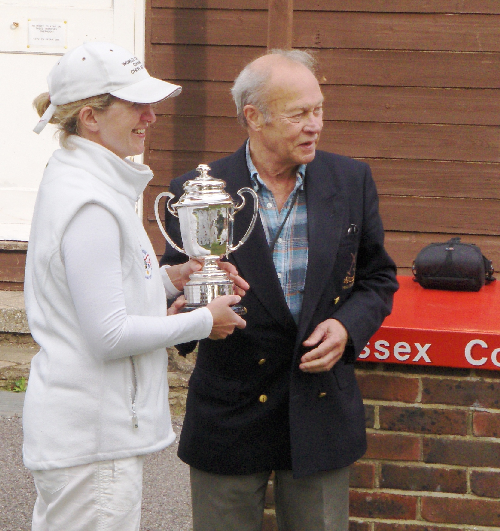 The Stephenson Cup was won by Karolina Michalak. The trophies were presented by John Solomon.